Ms. Eccleston joined the PMTC team in 2000 bringing with her a wealth of experience gained as a practicing attorney in Chicago, Illinois for more than seven years. 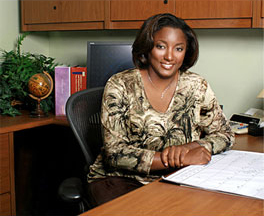 In addition, she earned a Masters in Health Care Law (LLM) from DePaul University (Chicago) in 2002, completing the degree requirements with an in-depth written thesis on “Ensuring Uniform Guidelines in the Treatment of Pain Management Utilizing Model Guidelines for the Use of Controlled Substances”. She maintains membership in both the Wisconsin and Illinois State Bar. Ms. Eccleston and her Administrative Service Team Members recognize the importance of getting patients what they need and when they need it.